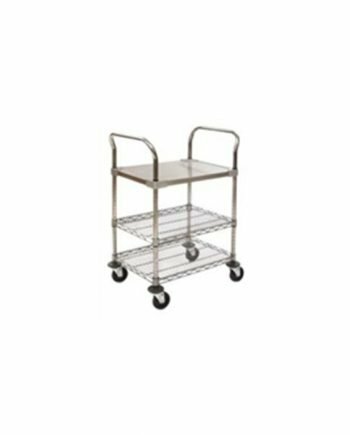 Medium and Heavy-Duty Utility carts from Eagle-Group come with two or three wire shelves, Solid shelf or basket featuring patented design, with Zinc, Chrome, or stainless steel finish. Two handles, posts and casters with bumpers. 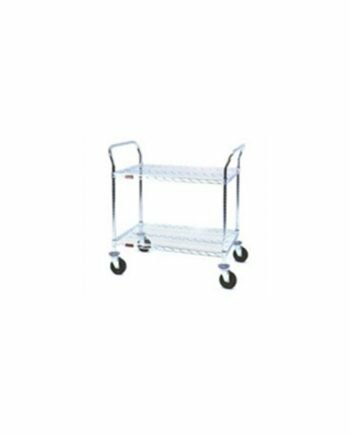 Medium Duty carts have 500-lb. cart capacity. Heavy Duty have 800-lb. cart capacity. 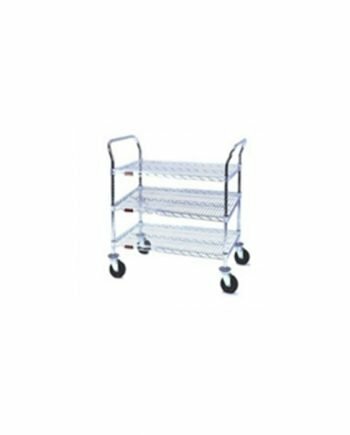 Carts with Solid Shelf come with two chrome wire shelves and one stainless steel solid shelf. 24" x 36" x 37¾"
18" x 36" x 37¾"
18" x 30" x 37¾"
18" x 24" x 37¾"